A photo from the trailer of the documentary. The Erie Canal is credited with the development of much of Upstate New York when construction began 200 years ago. But a locally produced documentary sets out to prove that the impact was felt far beyond New York State. 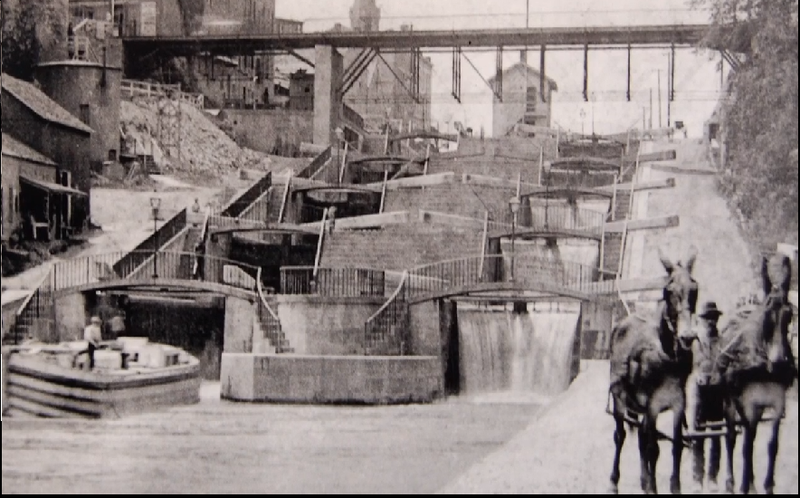 PBS’s “Erie: the Canal that Made America” will be broadcast nationally next week. Senior Director of Special Productions at WCNY Television Jim Aroune says the canal can be linked to endless political, cultural, and economic opportunities outside of New York. 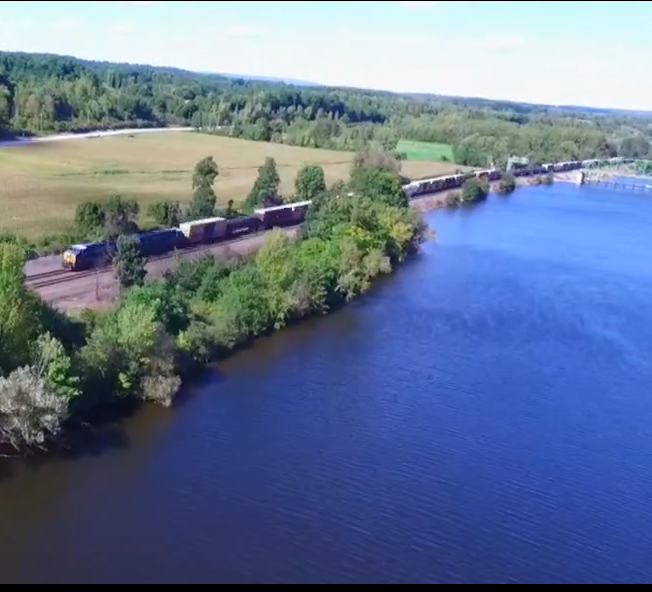 An overhead shot of the canal from the documentary's trailer. Aroune says the 363 mile Erie Canal not only funneled goods to the Great Lakes and Midwest, but also ideas, from the anti-slavery and women’s rights movements to Mormonism. He says it spurred a handful of other states to invest in canal systems, and it helped populate cities like Cleveland, Toledo, Detroit, and Chicago on the way to the Mississippi. A couple decades later, railroads arrive. Aroune says historians say contrary to popular belief, trains didn’t kill the canal; they actually coincided thanks to governor and President Theodore Roosevelt who pushed for the expansion of the canal and fought the railroad monopolies. Aroune says business on the canal hums along for a few more decades until the opening of the Saint Lawrence Seaway in 1959. Only a few short years after the Erie Canal does the best business in its history, Aroune says it quickly loses its relevance. It would be another 30 years or so before efforts emerge to preserve and re-develop the canal as a heritage asset, living museum, and recreational resource. The documentary, “Erie: the Canal that Made America,” airs Tuesday September 12th at 8 p.m. on WCNY and PBS stations nationwide. You can view the trailer for the documentary here, at pbs.org.